Adding cedar mulch to your flower beds helps improve the soil over time, but Colorado State University advises against using cedar mulch in gardens or flower beds where the soil is routinely tilled. The mulch can interfere with the soil's nitrogen and oxygen levels, so use cedar mulch only in flower beds where the chips will be allowed to break down naturally, over several years. Cedar mulch makes an effective and aesthetically pleasing weed inhibitor in flower beds. Often cedar mulch is spread over landscaping fabric to cut down on weed growth, but the Colorado State University recommends not using landscaping fabric at all. 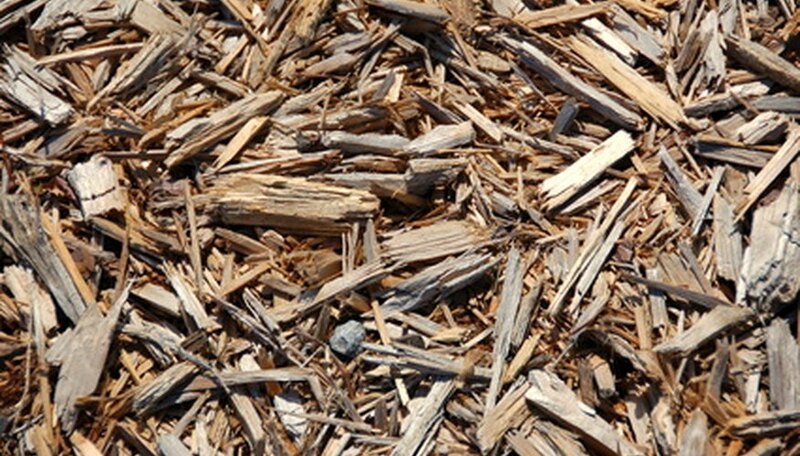 Laying cedar mulch directly on the ground allows the wood chips to contact the soil and slowly break down over time, improving soil quality. To control weeds and improve soil conditions with cedar mulch, lay a 1- to 2-inch layer of small cedar wood chips or a 3- to 4-inch layer of large wood chips. Spread a 2- to 4-inch layer of cedar mulch to help regulate the flower bed soil. Cedar mulch stabilizes the soil's temperatures by acting as an insulator. During the hot summer months, cedar mulch helps keep the soil cool. Should temperatures drop, especially to frost levels, the mulch protects the roots of your plants from suffering frost damage. Cedar mulch also aids in controlling the moisture content of the flower bed's soil. During periods of drought, mulch inhibits the accumulation of dust in the flower bed, while reducing moisture evaporation. In heavy rainfall, the cedar mulch sheds off excess water and prevents the soil from turning to mud. During laboratory testing at North Carolina State University, researchers discovered that aromatic cedar mulch worked as an ant repellent and, in some cases, killed the ants. Argentinian ants are especially susceptible to the effects of aromatic cedar mulch and die when they come into contact with the mulch, regardless of the age of the mulch. The onerous house ant dies when it comes in contact with fresh aromatic cedar mulch, but the mortality rate decreases as the mulch ages. It was once thought that peony plants relied on ants to bloom, but this theory is not true. Laying aromatic cedar mulch around peony plants will not affect their ability to bloom.